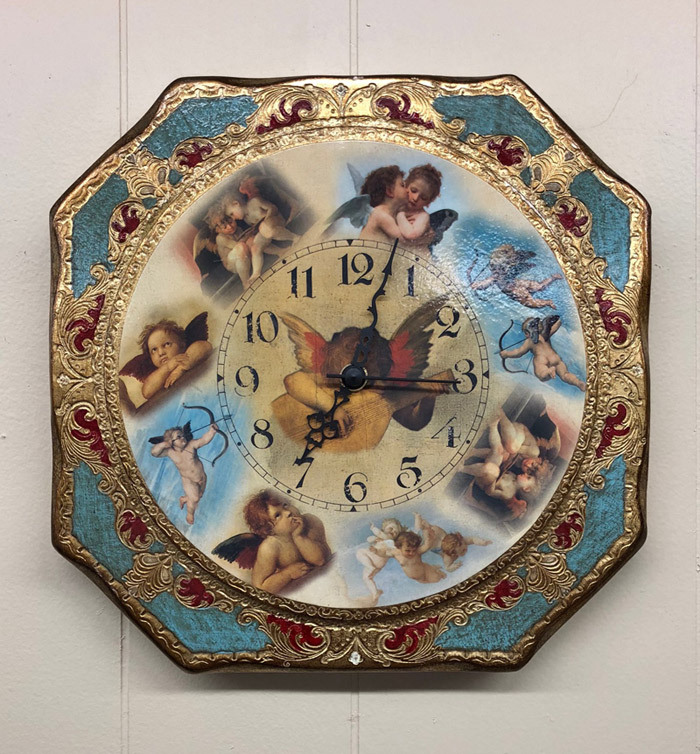 Goldscheider of Vienna, Inc. - Wholesaler of Religious Art from Italy - J-5182-S Florentine Angel clock, octagonal, 9.75x9.75"
Home :: Angels :: J-5182-S Florentine Angel clock, octagonal, 9.75x9.75"
Florentine Angel clock, octagonal, 9.75x9.75". Made in Italy. Takes one AA battery.